I've become a mark for Pauper. 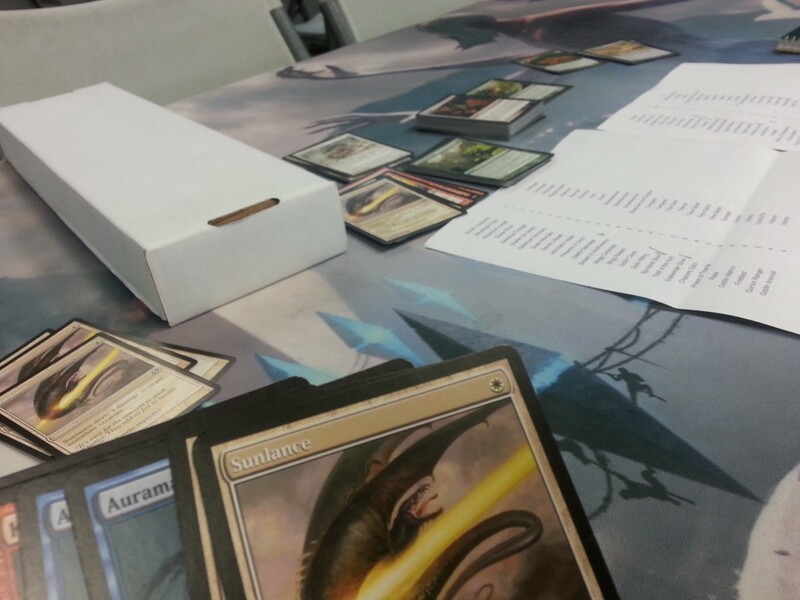 I love the format and having a tournament next week with some people in my playgroup. 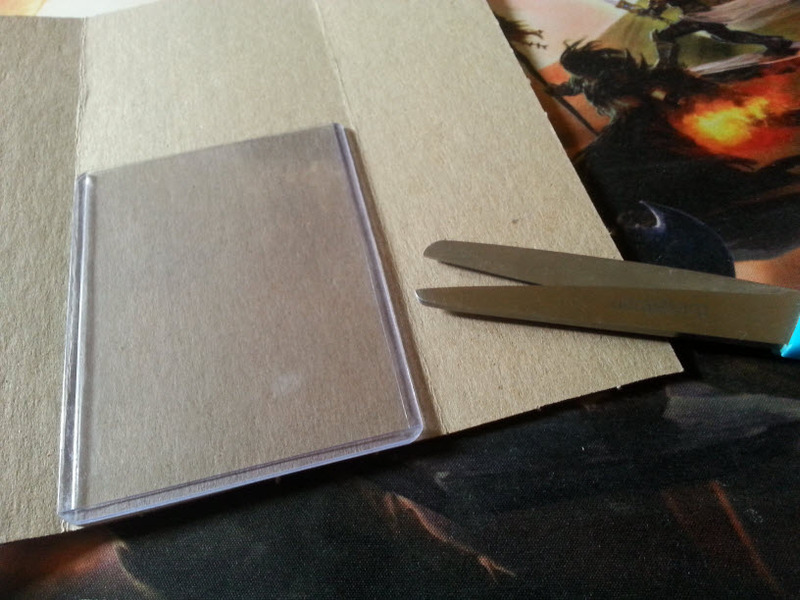 My window for getting cards here is small, because if I buy them online I was worried about them shipping in time. So I figured I'd give a local LGS or two a few bucks and go through their commons. I usually buy cards on eBay and get them for below TCG mid prices and free shipping, depending on the card. But why buy online when I can support a local game store and maybe meet new people? 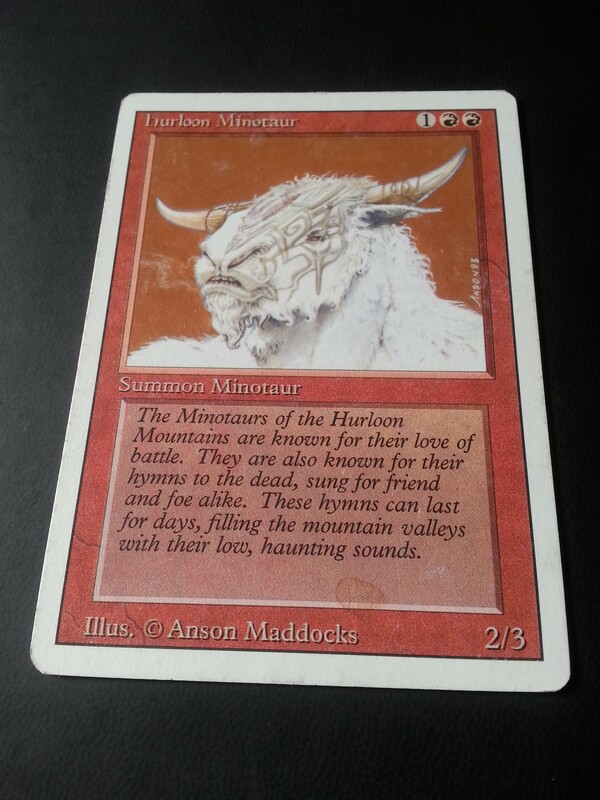 When I first starting playing MTG, it was while I worked in Reno, NV. The local store that we walked into was small but the owner was really friendly and after we talked with him a bit we worked out a deal that the 4-5 of us who played got booster boxes at cost. He even cracked packs and played with us once in a while. 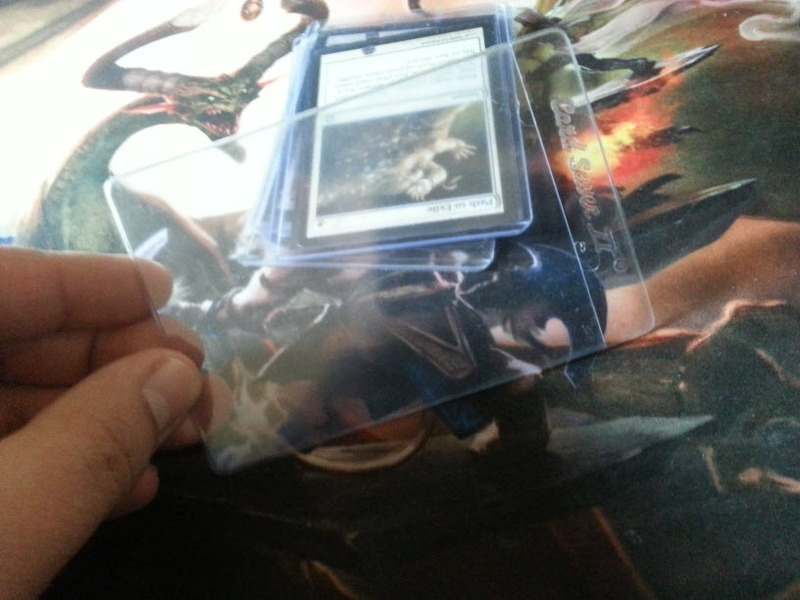 I've been to the largest LGS in my area and they price gouge (in my opinion) and are generally unpleasant. I thought to myself there has to be a better environment and maybe I'll find a place to play FNM or other events. 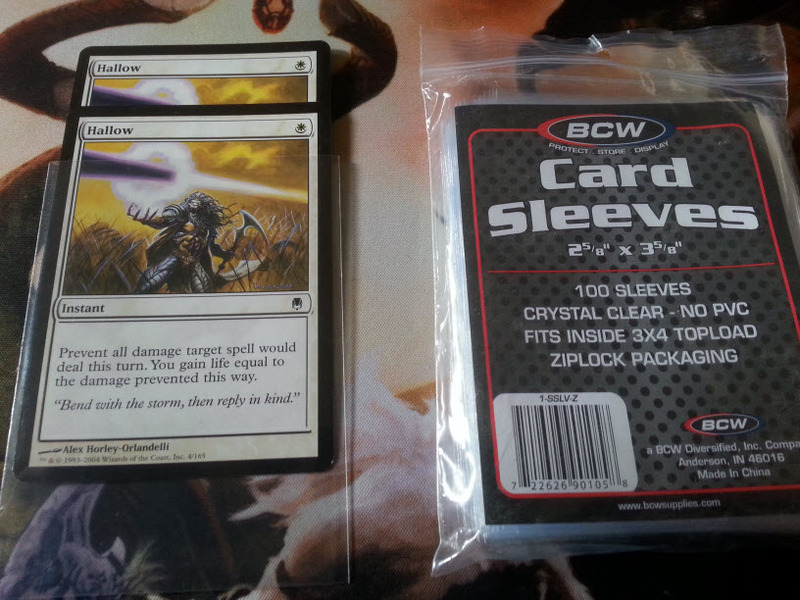 I looked up card stores around me and found two that I had not been to yet. The first one told me they have a ton of bulk commons and I'm free to look through them. They have a Pauper event every Saturday, maybe I can feel the place out and try to make some of them and an FNM now and then. The second place told me they had organized boxes by set that I can look through. After going through about half of their boxes and having a large stack of cards (probably around 800), I walked up to the front desk and she started counting the pile. She looked at me and said, "is it OK if I just charge you the $5 for this? You have about 1,000 cards here." I wasn't going to go through more boxes to get a couple hundred more cards that I probably wasn't going to use and $5 sounded good to me. I picked up a couple of packs of Conspiracy 2 and was on my way. I picked up about 40% of the cards that were on my list so I called this a win. I drove across the city to the second store and the manager (or the only employee there) was arguing with a teenager about his card prices. He was telling him he should be checking his phone for TCG mid prices because that's what the store uses and basically stop bothering me with questions. I asked if I could look through their bulk and he snapped, "We don't have... bulk. We have commons and uncommons. if you are the guy who called on the phone I tried to explain this to you already. I'll get the set out that you want to look through." I lifted up my list and showed him how many sets were on it. He walked back and brought out one box at a time. After looking through about 5-6 set boxes I found this much easier to find what I needed. 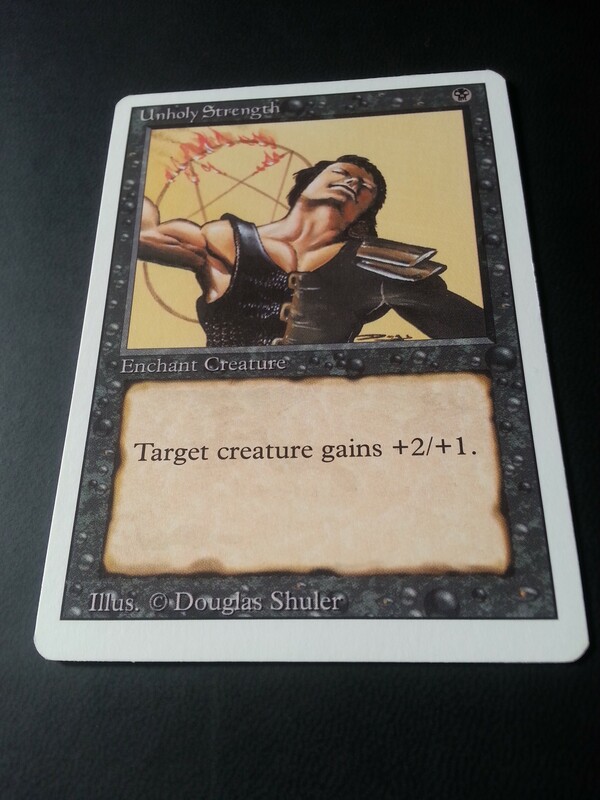 I found some other cards I thought were interesting and pulled a few, like Sunlance in the picture. I was finding what I needed faster but having to bother him every few minutes to bring out the next box meant I sat waiting for a good portion of the time. I had a stack of about 200 cards at this point, all commons for my Pauper decks. Progress. The employee walks over and says, "I'm going to ring up what you have so far so you get an idea on what you have." At this point I just figured he would eyeball what I had and give me a price. I was wrong and maybe a little naive to how this works. He spend about 20 minutes looking up cards and walks back over to me. "Dunno what your budget is but you're up to $125 and I'm only halfway through your stack." I was a little surprised he looked up every single common and that it was that much. I had a good portion of what I needed for the decks I'm building and I wasn't going to start over again. So I told him I would take out my needs and put back what I don't need, just stuff I wanted for decks I'll probably never build, only think about. After I told him this, he balked and said, "Well, I have to pay someone to put all of this back so I'll give it all to you for $150. All those cards add up, man." I had everything organized by set anyway, so I told him to bring the boxes and I'll be happy to put them back. I'm only going to buy what I needed. He wasn't too happy with that, even after I offered to put everything back that I wasn't going to buy. I went through the cards I absolutely needed and it added up to $65. I was already a few hours in and I figured I'd just buy what I needed and get the rest online. Even when he was checking me out he was lecturing me on card prices and kept repeating "Those cards add up." I came home and browsed eBay for about 30 minutes. Ordered ever card I needed and only bought from sellers that guarantee arrival by the date I needed. (Saturday 8/3) It was painless. I didn't have to deal with unhappy employees or digging through a thousand cards to maybe get what I needed. I spent about 6 hours going through boxes when I could have just bought them online for a few bucks more. How does your LGS handle commons and bulk? Comment and let me know if what I found yesterday is common. 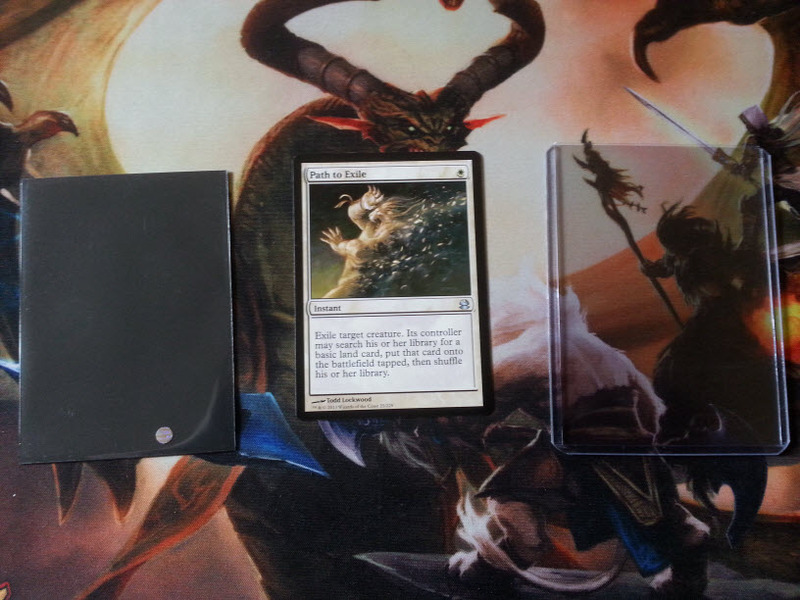 Before I share my experience with Pucatrade, let me give you a little background on my habits. I've never traded before locally, other than with friends and that is usually us giving each other cards that we need. So I don't have much experience with trading. 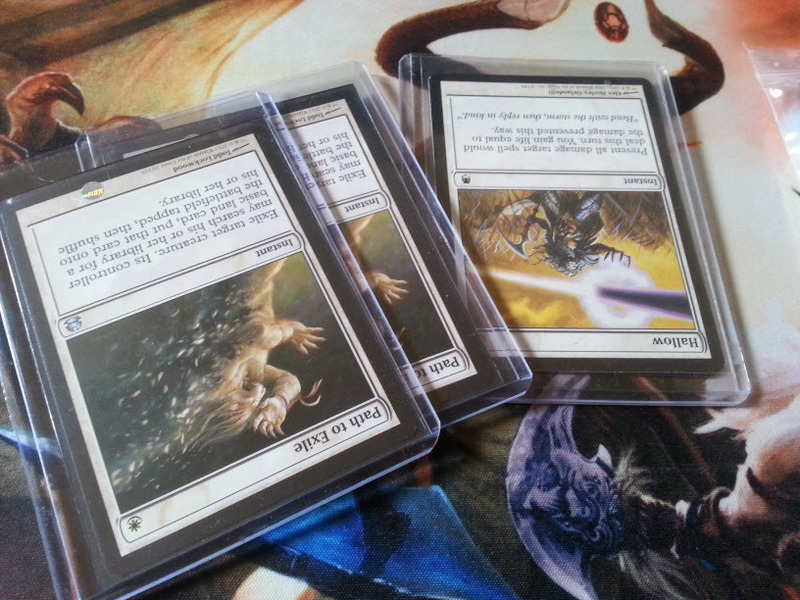 I buy and sell quite a bit of cards on eBay, and am very familiar with the rules and expectations there. I dabble in finance once in a while, mostly for fun and to support my MTG habit. When I first heard about Pucatrade, I was skeptical. Especially after hearing how some YouTubers allegedly kinda-sorta-maybe abused the invite system for their own benefit I was even more skeptical to use the service. After reading about some other players trading away lots of bulk on the site, I decided I'll give it a try for myself. 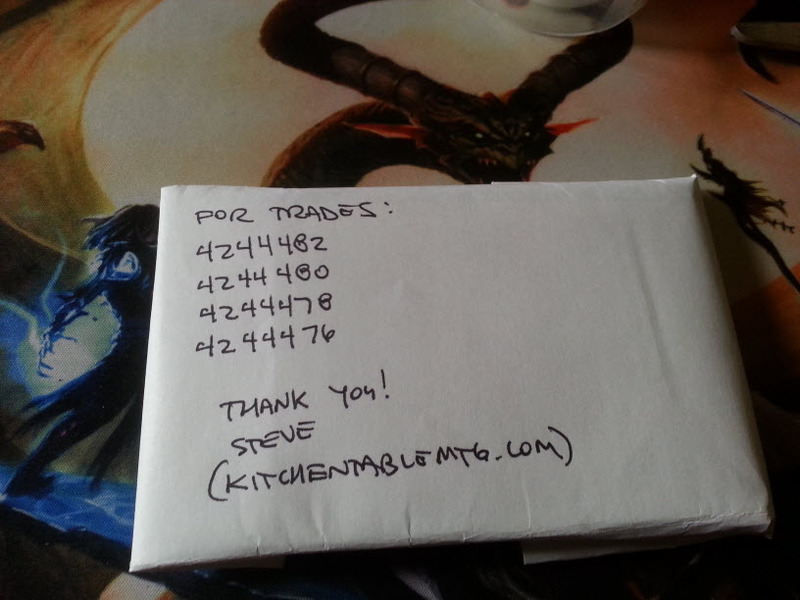 The way you trade cards on Pucatrade is by using Pucapoints. You get points by sending cards to players who want them, or you can buy Pucapoints with real money. Then you use those points to get cards you want, and the person sending them to you gets points for it. The amount of points the card is worth is connected to the current value of the card, so these numbers fluctuate depending on the card and demand for it. Up to today (5/16/16) I've sent over 20k worth of cards. Or about $200 worth. I mention this because I want it to be known how much (or little) I've used the service. 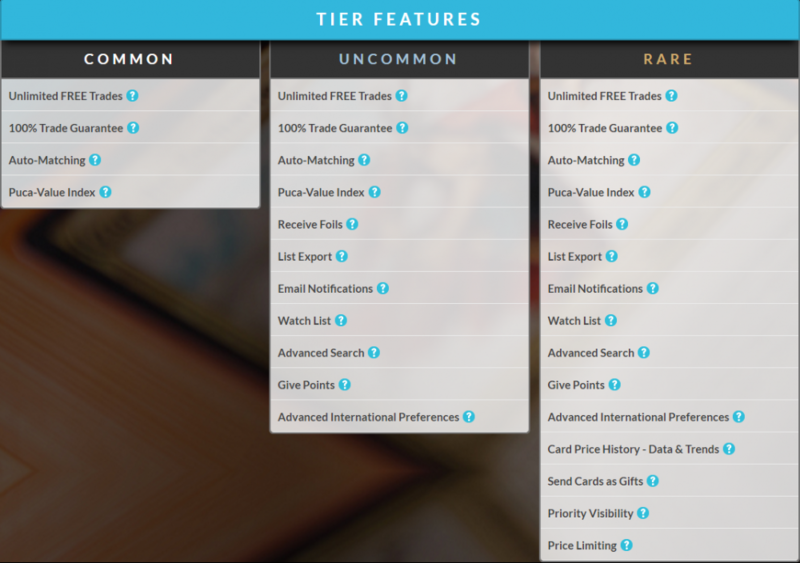 Let's talk a little about Tiers. An Common membership is free. Uncommon will be $5 a month and Rare is $10 per month. Yearly plans are also available. I went with the Uncommon plan to try email notifications, advanced searches and the Watch List. Is it worth it? Not really. For Gold the only feature that appeals to me is Price History, but I can get that a few clicks away by going to a site like MTGStocks. So why pay $5 more when it's a few clicks away? If you're looking for a card or cards and have a collection of cards you don't use, this is a nice way to get what you want fairly easily and straight forward. No negotiations to concern yourself with, whatever the card is listed for is what you'll get or be charged for it. Cards you don't want or will never use will add up once you start shipping them out. 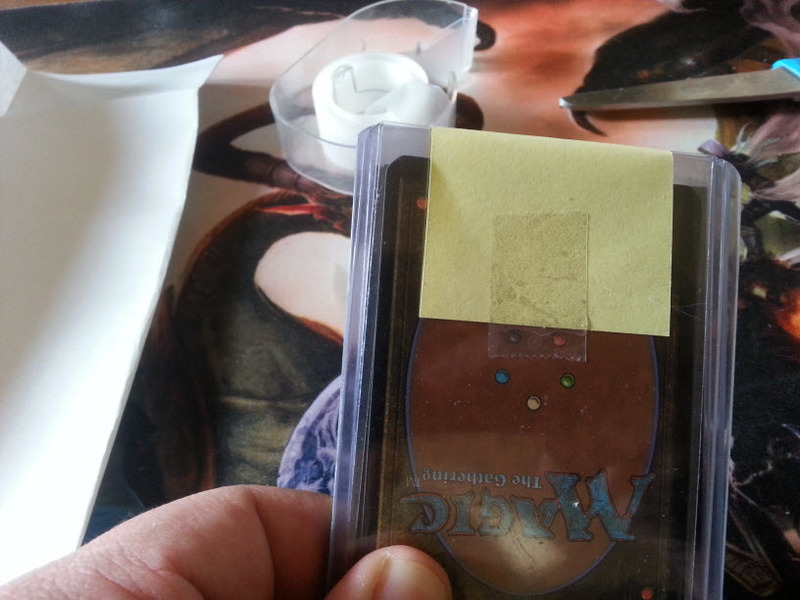 Instead of selling on eBay and buying more cards this cuts out the middle man. 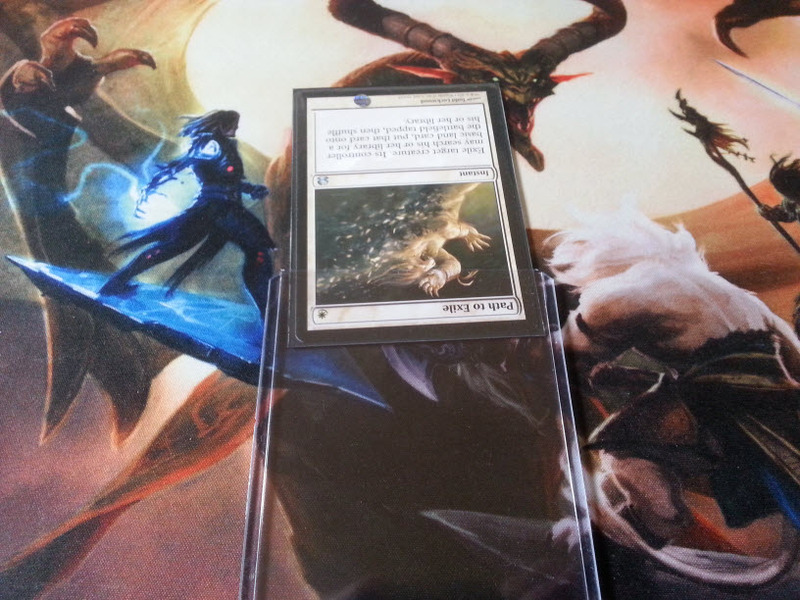 Putting cards on your Want list and getting someone to commit to sending to you is usually fast for format staples. Overall the service is easy to use and get the hang of. It's safer than trading with other people blind, and if there are problems you can file a claim and hopefully have a fair resolution. You have the safety net just in case things go wrong. As mentioned above, sometimes having cards on your Want list can go south if the value suddenly shoots up can be frustrating. Many times someone will commit to send a card to you and not send it for several days. In the Rules section of the site it reads that trades should be sent out no more than 48 hours after they commit to send but this should be a strict rule. I've had people commit to send a card to me and message me several days later telling me they can't find the card after all. They should only commit when they have the card in hand. Another downside to your Want or Have list is that sometimes players from other countries will commit to send it to you and this could make a couple of days shipping into a week or more. This can be changed in your preferences but something to remember. 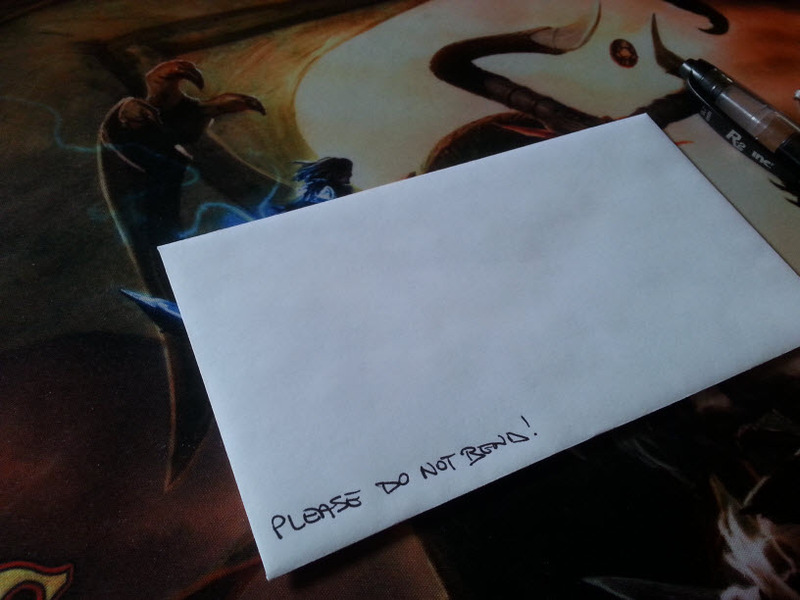 Often cards are sent below standard (for me anyway, check my other blog entry for my expectations). Often people use a small envelope with one stamp and a floppy loader to ship. This is just asking for trouble. 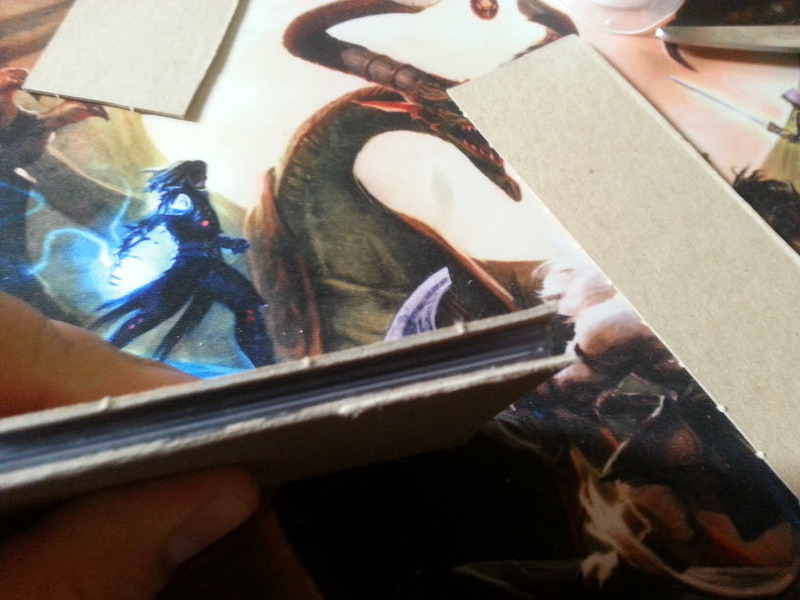 I didn't have any issues with cards being damaged when they got to me, but some were borderline below NM. The rules on the site should be clear and concise. 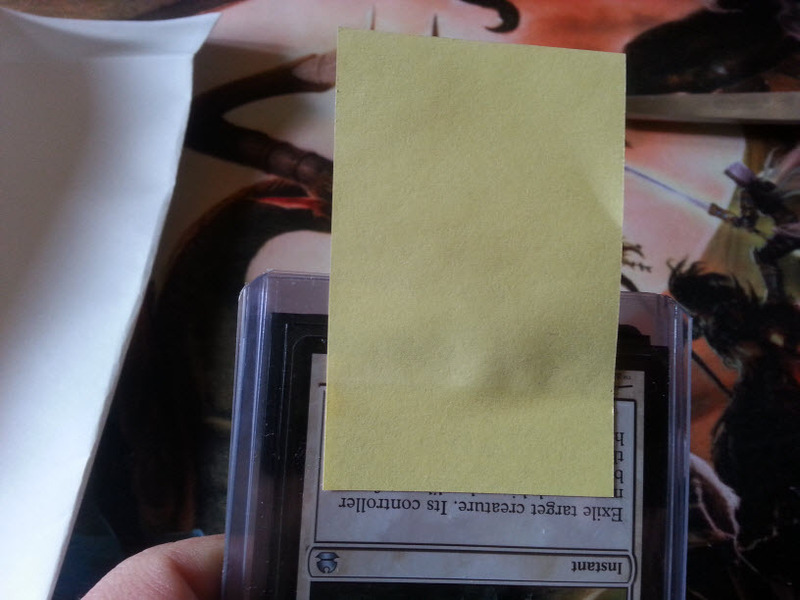 If someone has a card on their list that is a different edition than what you have, send them a PM asking if they are wiling to accept it from a different set. Most of the time they are OK with it. Speaking of sets, always check the different sets of cards you want and set is irrelevant to you be careful which ones you put on your Want list. You don't want to overpay for a card you can get for much less from a different set. 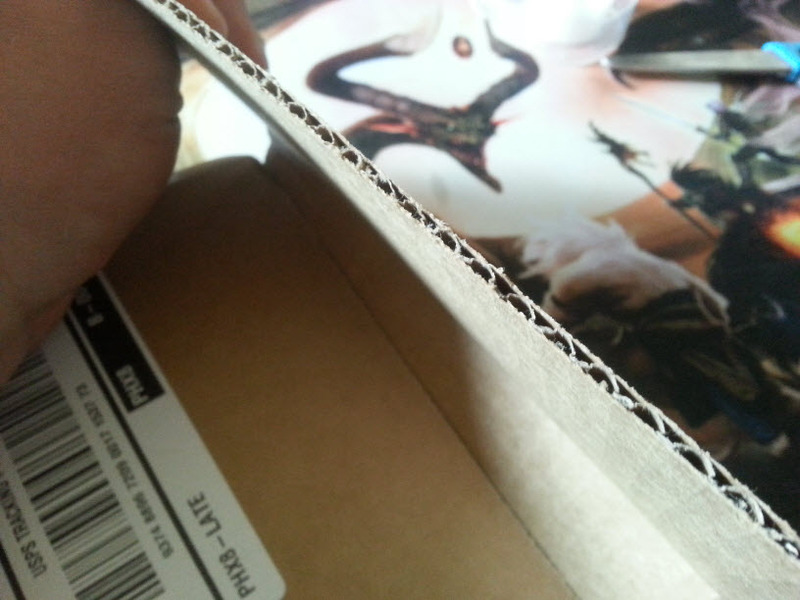 I don't ship out a card if it doesn't cover the cost of the stamp(s) or cost to send it. I usually don't send it if it's even close. .